No wonder health professions extol gardening’s benefits – there’s so much exercise involved! Particularly in January. 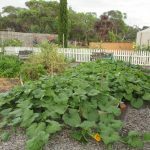 In our large vegetable garden here, I like to be outside at first light, to do as much as possible before the heat of the day sets in. Lawn mowing’s frequent but welcome, because it provides a plentiful supply of clippings to boost my compost bins. My late mother used to say that pumpkin seeds needed to be sown before the end of October. Although mindful of her advice, mine were slow to establish. But by the end of November they were on the move. 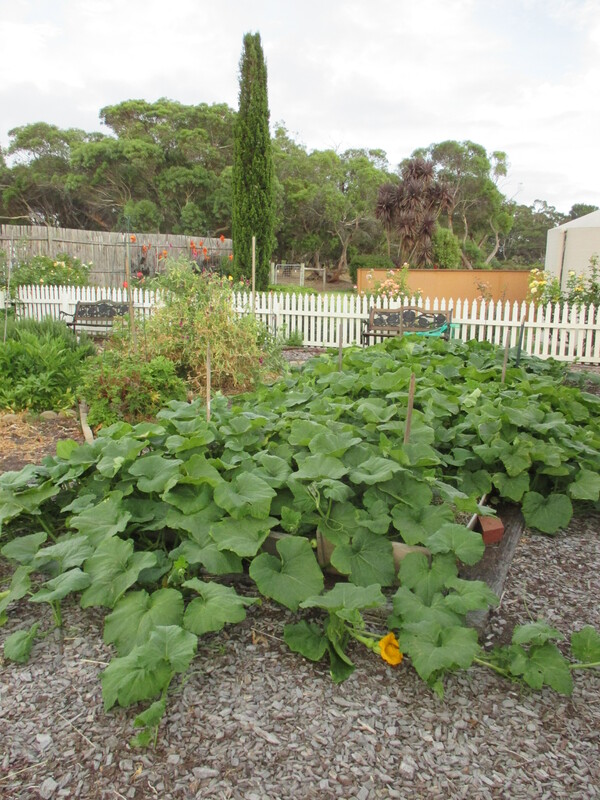 They now cover a large area, sending out their curling tendrils and revealing the tiny pumpkins forming. On very hot days, they benefit from being covered with a large piece of white shadecloth. 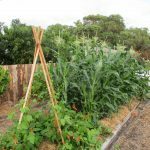 Can’t help but recall those lilting lyrics from the musical “Oklahoma” – “the corn is as high as an elephant’s eye” – when I greet my sweetcorn patch each morning! It loves a rich soil (I dug in plenty of old manure). 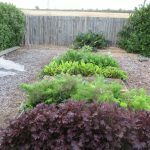 Each year I aim to sow succession rows, as salad vegetables grow quickly and are at their best when young and fresh. But what to do with all the English spinach and bok choy which is far in excess of requirements? I’ve harvested it and baked some dishes of frittata – very easy and it can be cut into squares and frozen, once cooled. Method: mix together flour and baking powder, add the eggs and milk and mix well. Stir in the spinach/bok choy and cheese. Add a small amount of minced onion or onion flakes. Pour into the greased baking dish and bake at 175 degrees Celsius for around 45 minutes – insert skewer to check if cooked.